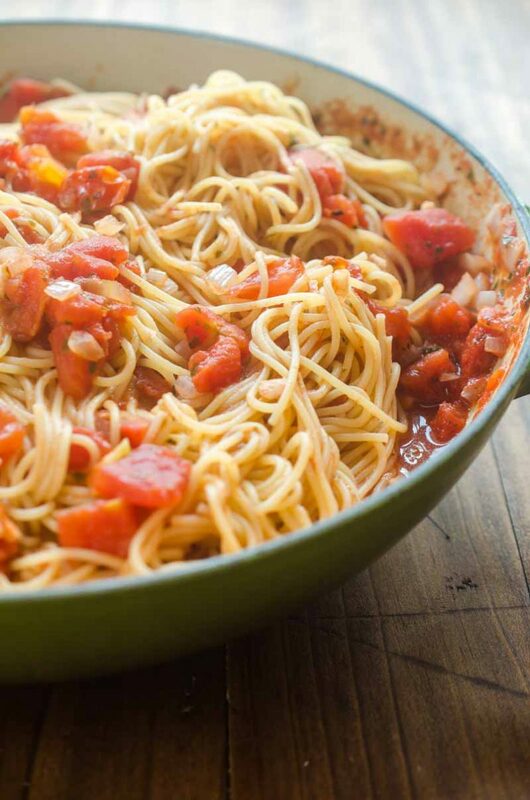 Pasta Pomodoro is a classic for a reason. 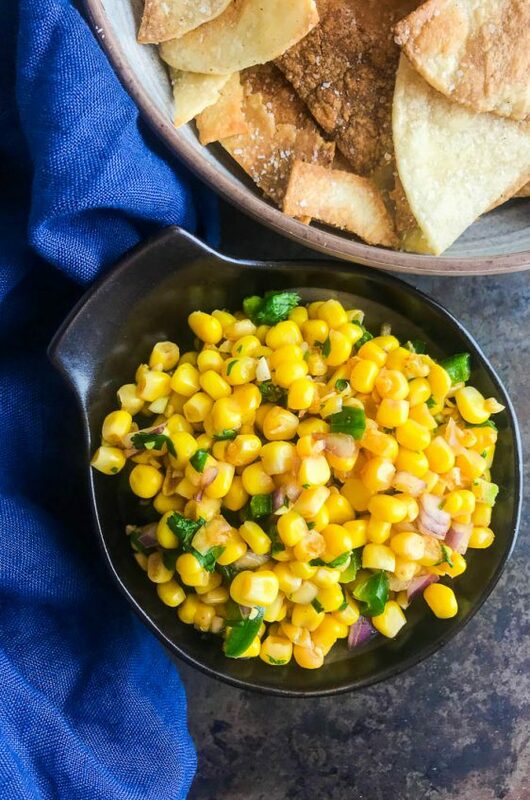 With just a handful of ingredients you can have a hearty meatless dinner on the table in 20 minutes. But not with pasta pomodoro. 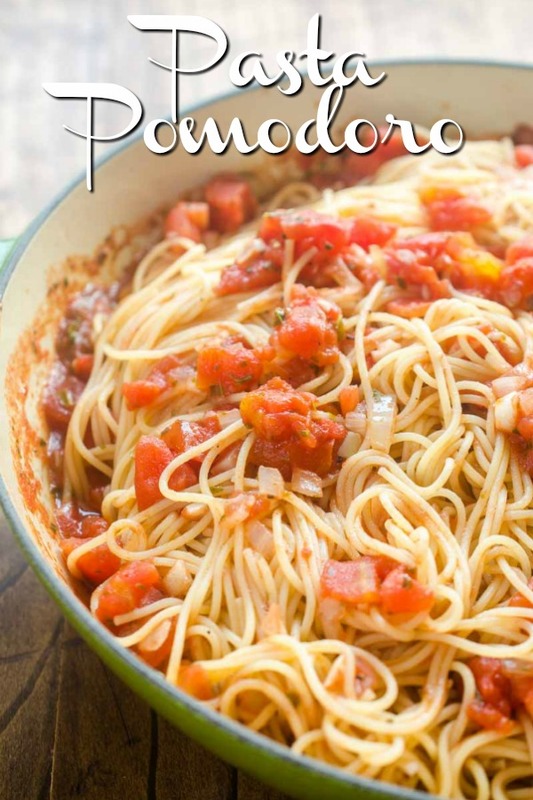 When I make Pasta Pomodoro my boys gobble it up and there is no mention of the lack of meat. 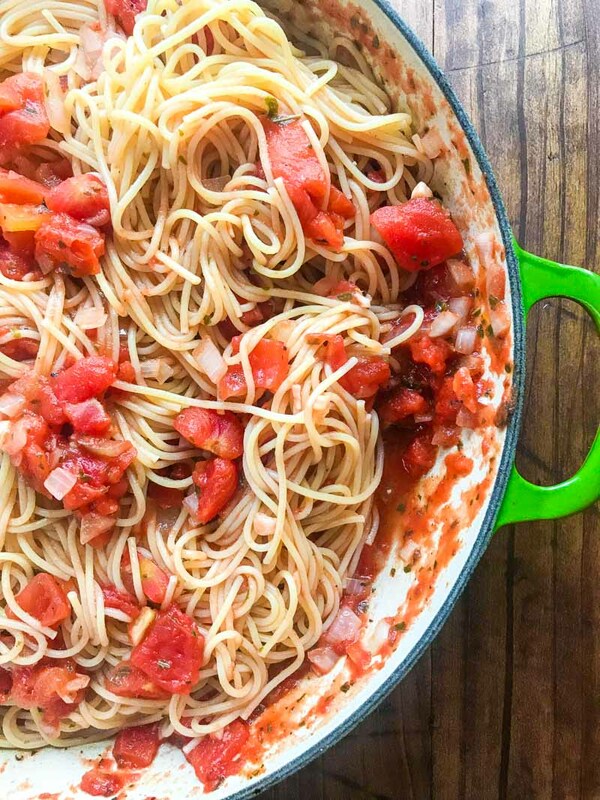 There is just something about the classic combo of tomato sauce, basil and pasta that make this dish a family favorite. And it has been a favorite of my husband’s dating all the way back to our Olive Garden date night’s as teenagers. 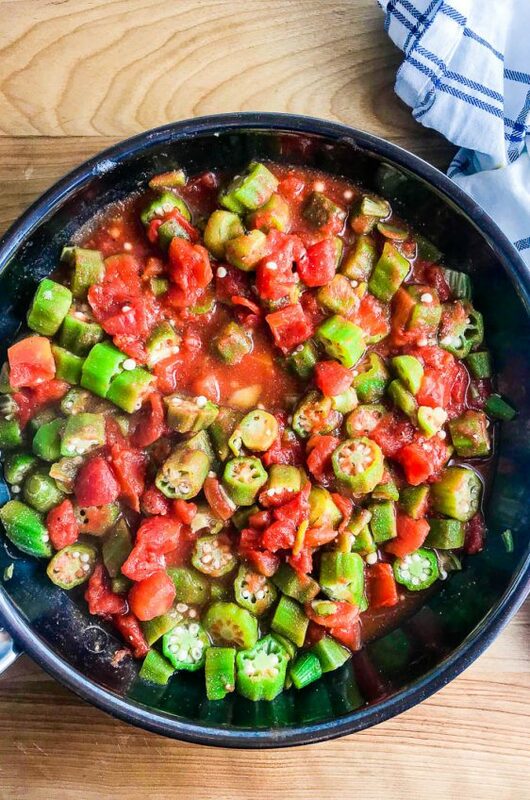 This recipe is my version of that restaurant classic. 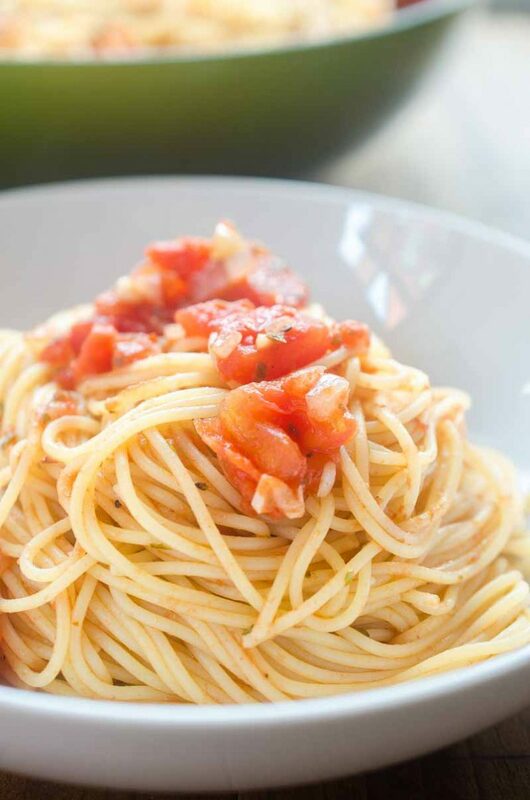 Pasta Pomodoro, or Capellini Pomodoro as it is often called, could not be simpler. It is essentially thin pasta and a simple tomato sauce. In the case of this recipe, the tomato sauce is made with canned tomatoes, onions, garlic, basil and a little crushed red pepper for heat. Sometimes when I stand in the pasta aisle, I am amazed at all of the different varieties available. There are different shapes, different sizes and different colors. For this dish you’re going to want to use a rod shaped pasta. Rod shaped pastas are usually long pastas. And, to make things extra confusing, there are different thicknesses. You’ve got your bucatini which is a thick. Then on the other end of the spectrum is your Angel Hair which is the thinnest. And traditional spaghetti falls somewhere in the middle. 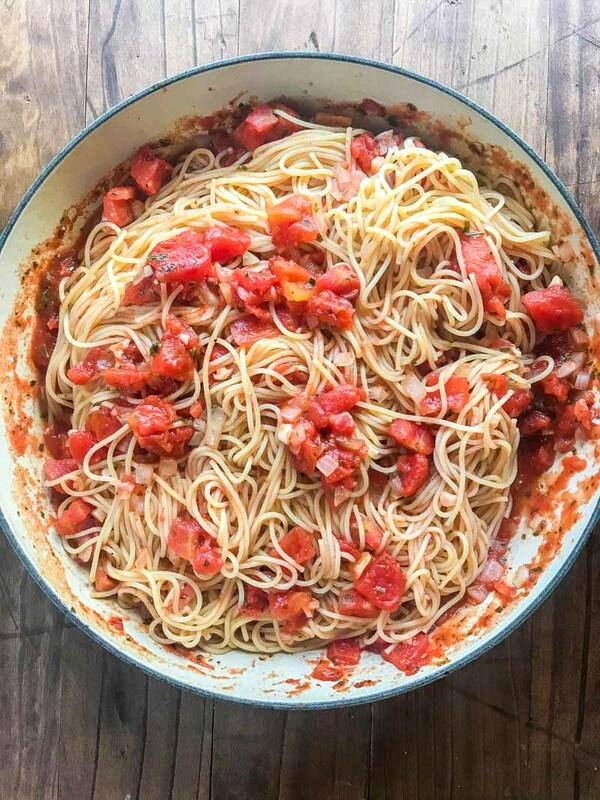 Most often, pasta pomodoro is made with capellini or angel hair pasta. 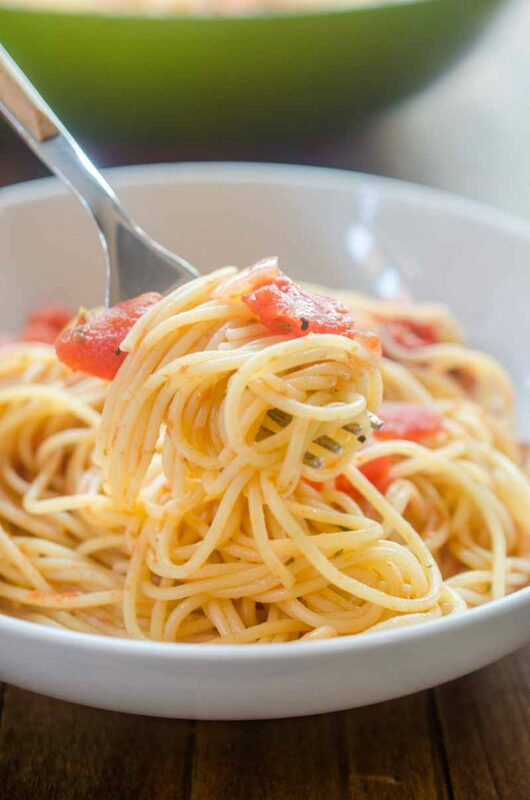 True “capellini” pasta is thinner than angel hair, but you are more likely to find angel hair pasta or thin cut spaghetti in your grocery store. Most long pastas will work well for this recipe. I would avoid the flat pastas like fettuccine or linguine and opt for “rod” cut pastas like spaghetti and angel hair. My favorite thing about this capellini pomorodo recipe is that it is done in under 30 minutes. You can start the water for your pasta and by the time that it’s done, your sauce is done too. Then you can toss it all together and the dinner is served. If you want to add some protein to this dish, grilled chicken or sauteed shrimp would be perfect! Finally, because carbs are life, I always serve my pastas with a side of the best (and easiest!) garlic bread. And wine. Obviously. Note: This post was originally written in 2008. Photos updated in 2018. Start the pot of water for your noodles according to the package directions. Meanwhile heat the extra virgin olive oil to a large skillet over medium heat. Once heated, about a minute or so, add onions, garlic, basil and crushed red pepper. Saute until onions and garlic are slightly soft, about 3 minutes. Add the diced tomatoes and salt and pepper, reduce heat to medium-low and simmer while you wait for your noodles to finish. Once your water starts boiling add a generous (about 1 tablespoon) amount of salt and then add the pasta. Cook until al dente, about 6-8 minutes. Once your noodles have finished cooking, rinse with cold water to stop the cooking process. After the noodles have been rinsed, add them to your tomato sauce and stir to combine (Note: Make sure you strain as much water as possible from the noodles before adding them to the sauce). Cook over medium heat until the noodles are warmed through. About 3-5 minutes. Please note nutrition facts not guaranteed. Looks like a perfect dinner any night of the week! This is a classic! The simplest dishes are always the best! So yummy! My family would love this! 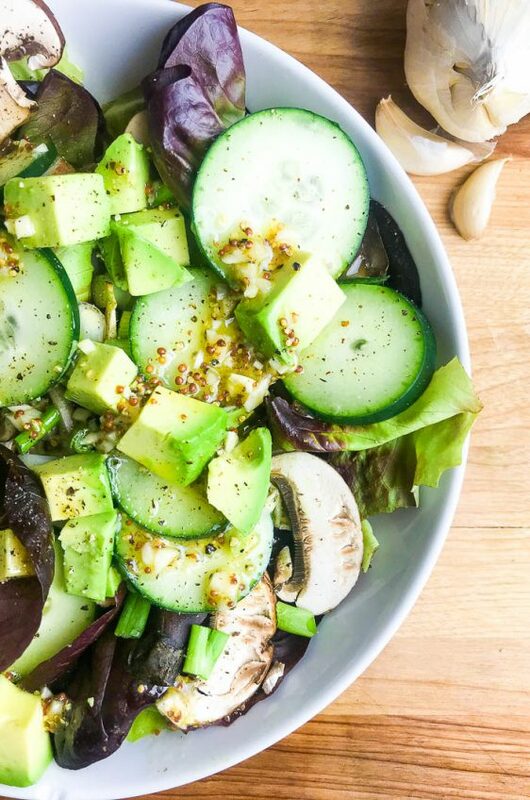 I love easy meals like this for busy weeknights! I want to have this for dinner! Janice- Do you mean made in another pot and then just kept warm in the crock pot? I think that would work fine. There isn’t too much of a sauce so if it is kept low the noodles shouldn’t get soggy. If you are talking about cooking the whole thing in the crock pot I am not sure. I have heard of people cooking pasta in a crock pot but I’ve never tried it. Could this be made and kept warm in a crock pot to serve a large crowd?